NFVCC is now accepting applications for the 26th Holiday Art Fair. Be a part of this beloved holiday tradition! 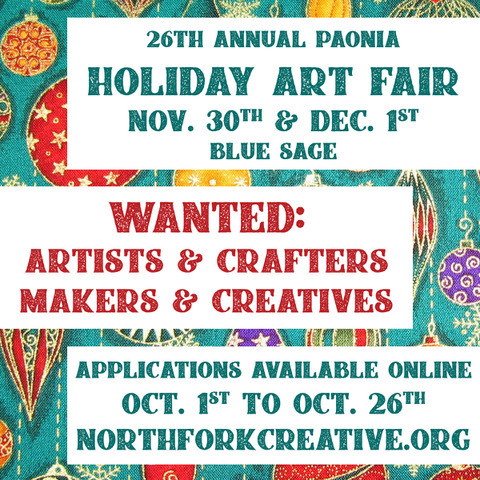 For more information and to apply please visit our Holiday Art Fair page. Call ends Friday, October 26th and selected participants will be notified on Monday, October 29th. Any questions please contact Spencer Lightfoot.